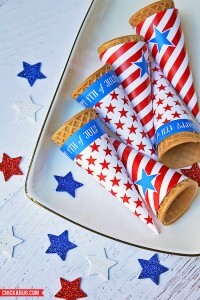 Check out these fun ice cream cone wrappers - perfect for your next 4th of July or Memorial Day Celebration! 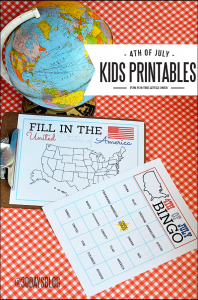 Visit Chickabug to grab these free printables! 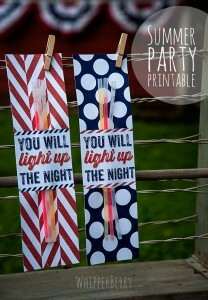 Take advantage of these last few Summer nights before they're gone, with these glow-stick printables! Visit The Idea Room to get this fun freebie. 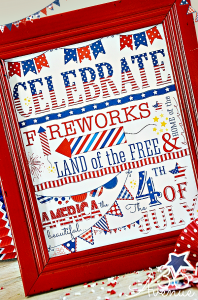 Here's another great 4th of July Printable Pack of food tent labels, cupcake toppers, and my favorite - the Let Freedom Ring Banner. 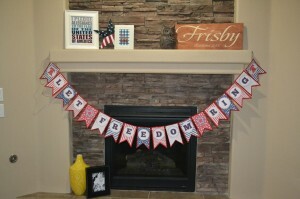 Visit LDS Printables to print your own! 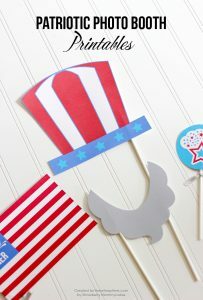 I can't wait to put together these fun party favors for our friends and kids! 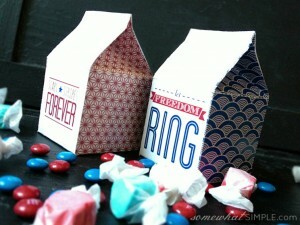 Grab these 4th of July Milk Carton treat boxes from Somewhat Simple. 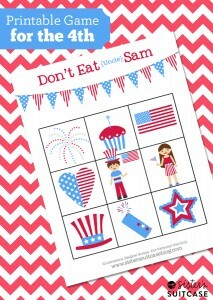 Grab this fun Don't Eat Sam (based on Don't Eat Pete) printable game from My Sister's Suitcase! Don't know how to play? Instructions are included! Trying to avoid the Summer Heat? 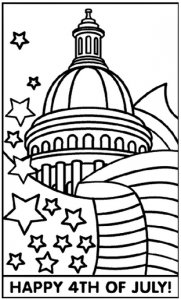 Visit Crayola to grab a set of 6 Independence Day Coloring Pages. 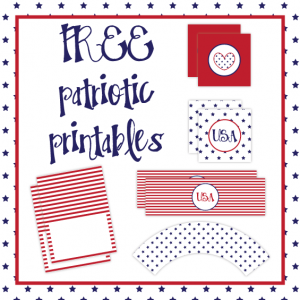 Grab these Free Patriotic Printables from Made by Crinstina Marie for your next 4th of July Party! Cupcake toppers and wrappers, table tents and water bottle labels!